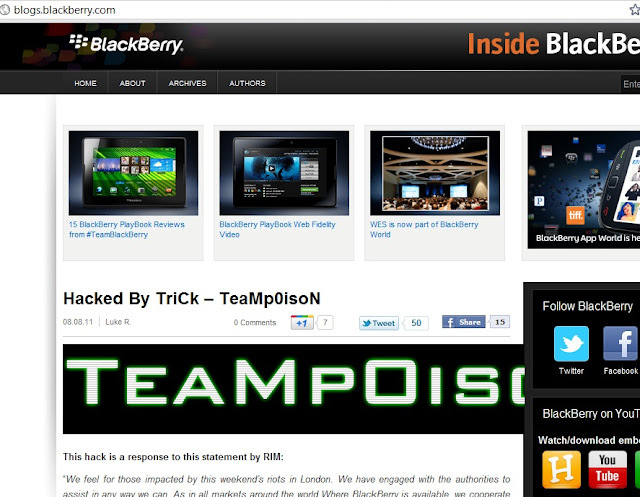 Hacking crew team TriCk – TeaMp0isoN today hack and deface the blog website of BlackBerry against London riots, One of the leading Mobile Company. They post a message also on homepage, as given below . 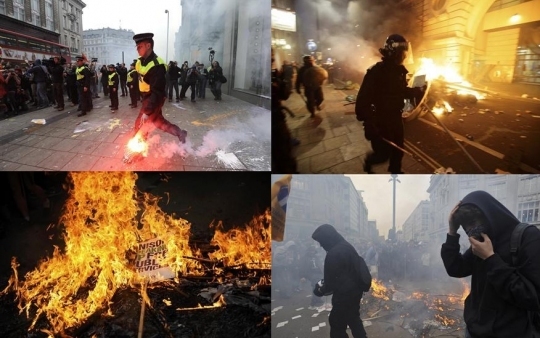 Also There were calls on Tuesday to shut down the BlackBerry Messenger service which is thought to have helped mobilise looters in the riots in London. Mirror of Hack can be seen here. - Knowledge is Power . . . . .